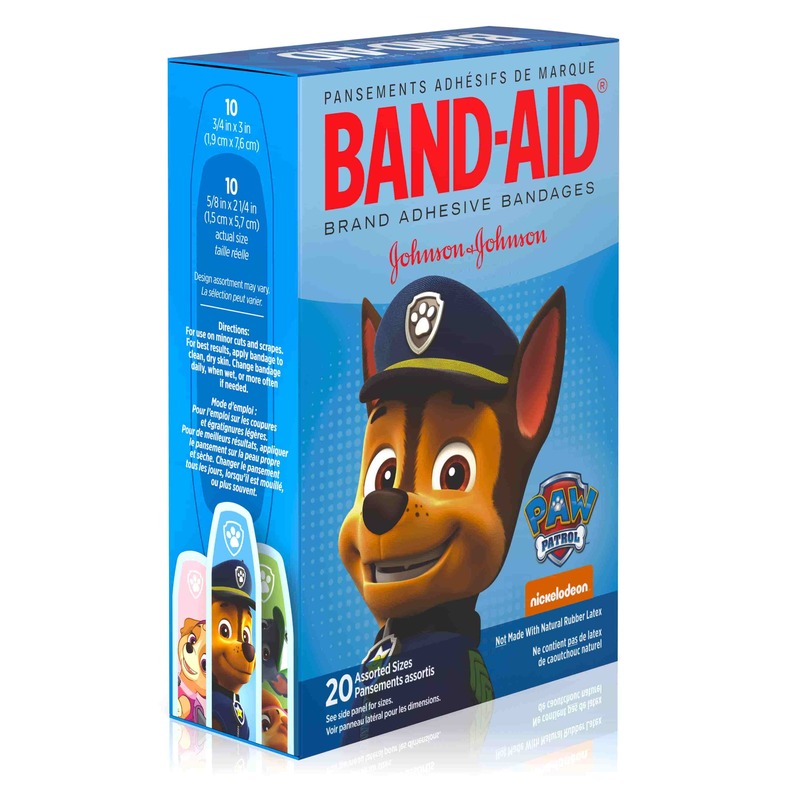 BAND-AID® Brand Adhesive Bandages, featuring Nickelodeon Paw Patrol designs, cover and protect minor cuts and scrapes with fun Nickelodeon PAW Patrol graphics. 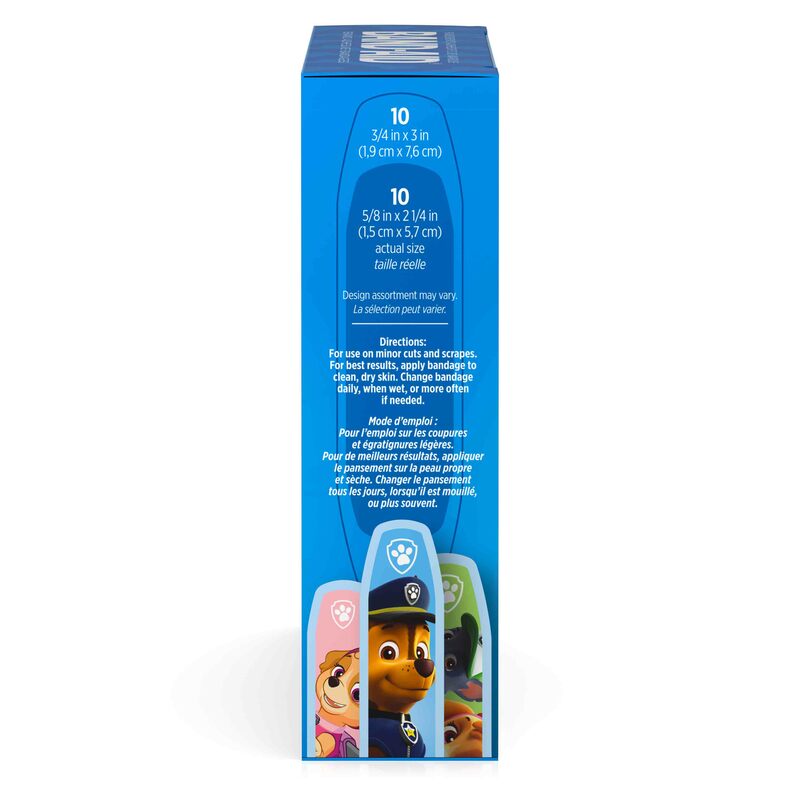 These sterile bandages come in assorted sizes with designs that include Ryder and his team of pups. 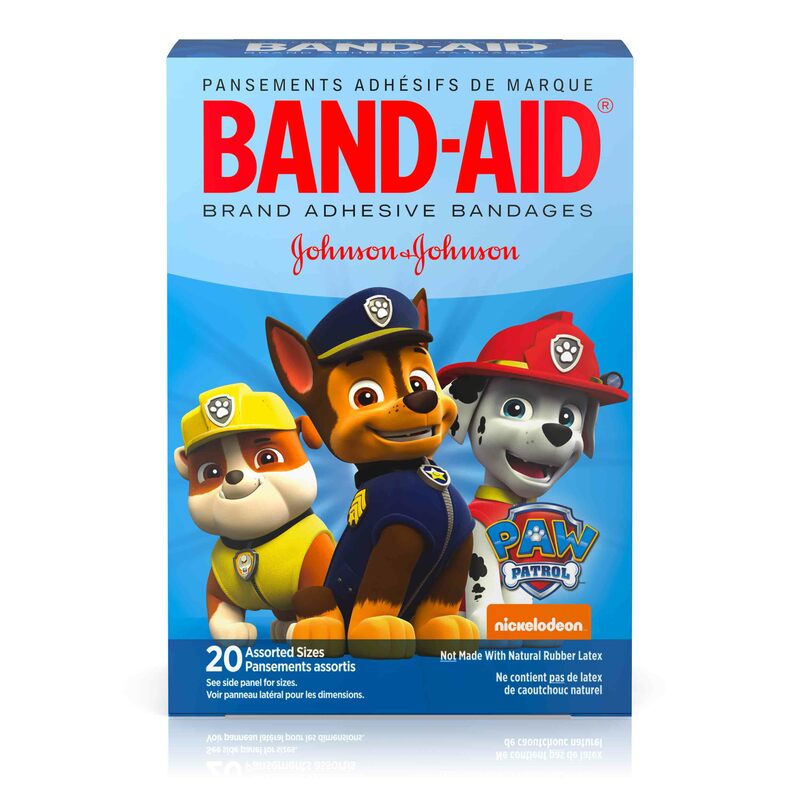 BAND-AID® Brand Bandages stick to the skin, not the wound. This package contains 20 sterile bandages in assorted sizes suitable for small wounds.